Medical West is once again proud to be an official Weigh-In Site for Scale Back Alabama. Starting the week of January 15th, local residents are invited to sign up for a statewide weight loss contest called “Scale Back Alabama”. The twelfth annual 10-week competition encourages Alabamians to lose weight, exercise, establish healthy lifestyle habits and have fun while doing it. Medical West is once again proud to be an official Weigh-In Site for Scale Back Alabama. Starting the week of January 15th, local residents are invited to sign up for a statewide weight loss contest called “Scale Back Alabama”. The twelfth annual 10-week competition encourages Alabamians to lose weight, exercise, establish healthy lifestyle habits and have fun while doing it. Last year’s campaign drew in residents from nearly every county in the state, totaling more than 18,000 people, with a collective reported weight loss of over sixty-thousand pounds. 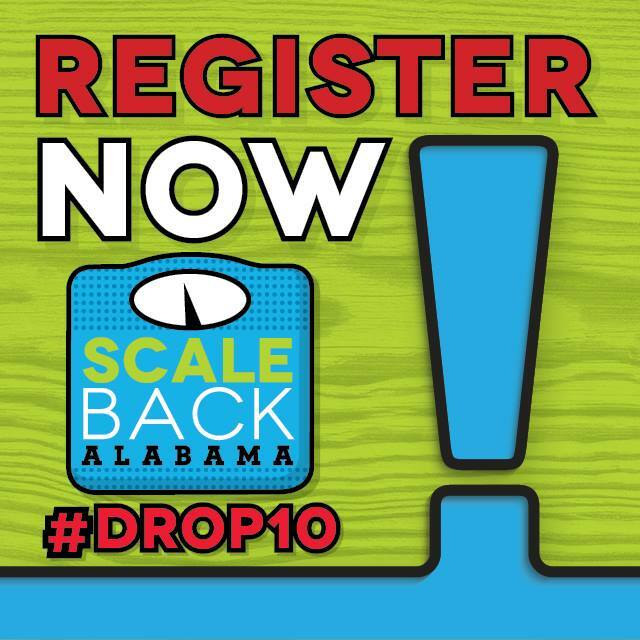 Scale Back Alabama involves teams of two people, who are challenged to lose at least 10 pounds each over a 10-week time period in order to be qualified for one of three grand prizes. At the final event on April 16th, three team names will be drawn with the first team winning $1,000 per team member, the second team winning $500 per team member, and the third team winning $250 per team member. In addition, all individuals who lose at least 10 pounds will be included in a drawing for one of 40 achievement prizes of $100 per person, regardless of their team’s achievement. 7:00 a.m. - 11:00 a.m & 1:00pm - 5:00 p.m.
7:00 a.m. – 11:00 a.m. & 1:00 p.m. 5:00 p.m.
To participate or for more information on “Scale Back Alabama,” please contact Medical West Marketing Coordinator, Bayleigh Lowe at (205)481-8501 or log onto www.scalebackalabama.com.